Pepsi reaches out to troops and their families stationed throughout the world and supports programs which recognize the contributions that these US Military servicemembers provide. Pepsi-Cola has supported Volunteer Recognition Ceremonies for more than five years and recognizes the countless hours that these invaluable military servicemembers and their families contribute to their military communities. Christina Callahan, the event coordinator, has outdone herself once again and hosted more than 700 Volunteers and their guests. Volunteers entered the Patrick Henry Village Grand Ballroom, where all seats were filled, with standing room only. 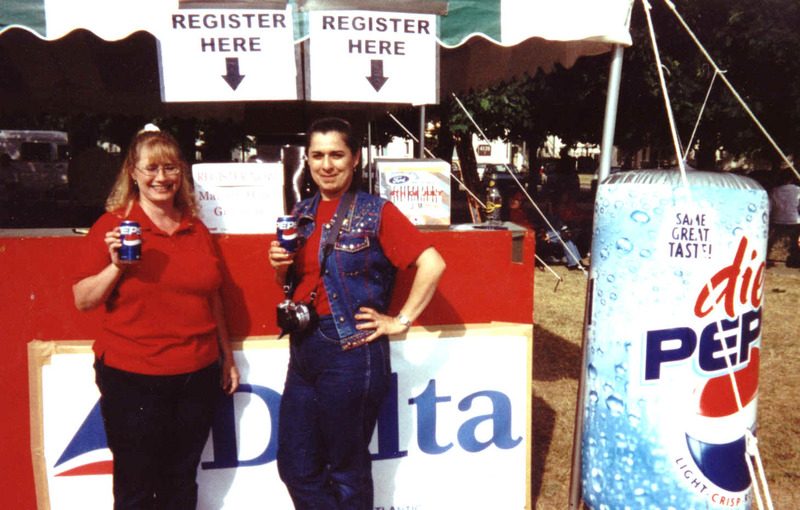 As each volunteer entered and registered for the event, their first Welcome was brought to them by Pepsi-Cola. The volunteers would all leave with something in their hands. Their Stress Packs recognized their unselfish commitments. The evening’s entertainment involved the USAREUR Choir and sang modern and upbeat songs in tribute to the Volunteers. The US Flag was carried and part of the opening ceremonies and was carried by the local girl scout unit. 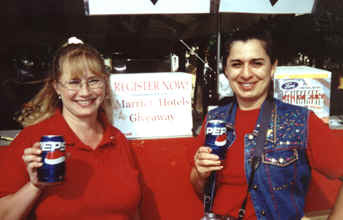 The Pepsi display was set up at the entrance of the event, which allowed people to sign up for MilitaryPartners Win Big on the Web sweepstakes. 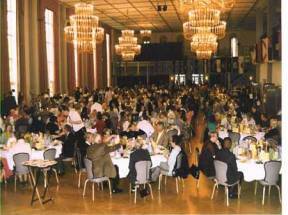 A table was inserted at the front of the Ballroom and Pepsi was in the center of the display. Volunteers registering for the Win Big on the Web Entry forms and entering into the $50.00 AE Express Gift Voucher which was given out during the evening. Volunteers sign up for prizes and catch a refreshing Pepsi along the way. Here’s to Pepsi and bringing smiles to volunteers of all ages. Some local Volunteers gather to take part in this special recognition ceremony! 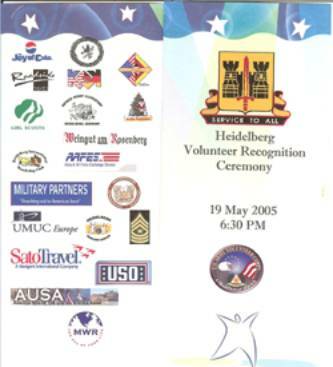 In Recognition of the Volunteers from Mannheim and Darmstadt, including family members, civilians, and retirees. An occasion to enjoy for the young and their families. Again, standing room only, in this recognized annual event. And the youngest of them all, posing for a Pepsi moment! Stuttgart recognizing the importance of the sponsor contributions! Getting ready for a night of Recognition. 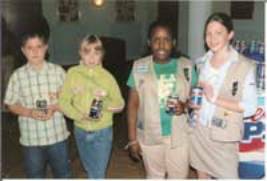 Thanks to Pepsi Cola and other commercial sponsors, these Volunteers could receive the recognition and praise that they deserve. Each year the programs get larger and larger and through the initiatives of commercial sponsors, the events provide incentives to increase the awareness, attendance and participation of the military Installation Volunteer Programs. On behalf of the Volunteer Coordinators, we sincerely thank Pepsi for all of its support! The Air Force Hosted its annual “Get Active” event and brought out children and adults alike. The Pepsi blow-up lemons were a huge hit and gave lots of sunshine to the event. 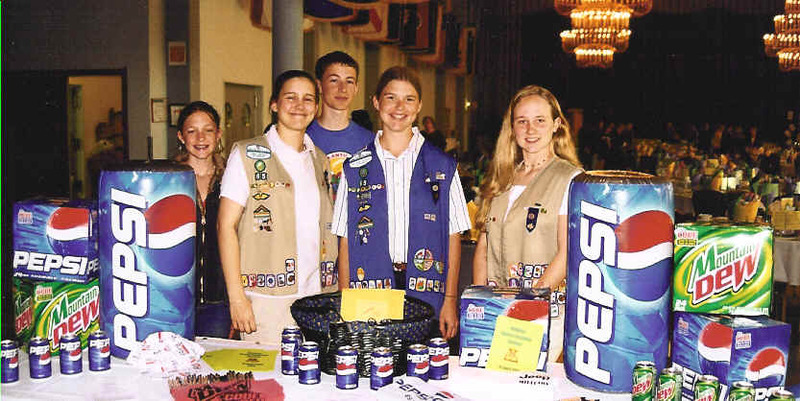 The Pepsi display created additional excitement and was displayed prominently at the event. The Pepsi Blue Cans were a novelty and participants were asking about the new flavored beverage. Signing up for Win Big on the Web and to win the $50.00 AE gift voucher. Quenching this young participants thirst. The Runners are approaching the finish line! The lucky draw for the $50.00 gift certificate. The Albert Schweitzer Basketball Tournament, celebrating more than 20 years since its inception to bring countries together. During the Cold war, this tournament proved to be invaluable in bringing eastern countries closer to the west, through a basketball championship event that took place on Mannheim’s US Military Fenley Barracks. The program drew thousands of spectators; both military and civilians to watch the worlds’ best compete for the Globe. MilitaryPartners, together with Pepsi’s generous support, made this event unforgettable for the US community’s involvement and provided refreshments to servicemembers and their families. 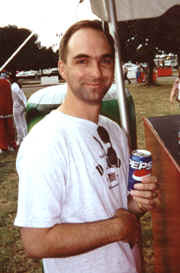 Moreover, the monies generated from the sale of the Pepsi helped to underwrite the cost of the program, which brought in needed revenue to the local Non-appropriated instrumental fund. The Radio Interview helped increase the awareness of this important program. The Pepsi gift voucher was a huge listening draw. A lucky fan to cheer on the US team to victory. Unfortunately, the Chinese defeated them. The game takes full force on the basketball floor. AFN stayed on and continued to cheer on the US team and give prizes away. More excitement as the tournament progresses. The US ID cardholders entered into the drawing and display at the entrance of the arena. The Pepsi display in the front entrance tent was a draw and a success in getting people to sign up and win the offered prizes. Thanks to Pepsi the “Friendship through Sports” Albert Schweitzer Tournament was a success and enjoyed by all. Families enjoying the fest and a Pepsi to round off their meals. The entry box, giving away $50.00 Pepsi gift voucher, at the concession stand drew a lot of attention. Reaching for the good stuff! Pepsi in the center of enjoyment. All the festivities were offered, including special fest balloons. Pepsi right there in the center location of the concession stand. Dolores Doherty, MilitaryPartners and Princess Burke, Mannheim Special Event Marketing Coordinator, reach for a Pepsi and say Thanks for all that Pepsi does! CHICAGO (September 2004) - With more than one-half of middle- and high-school students not getting the recommended 60 minutes of moderate-to-vigorous physical activity each day1, The Gatorade Company, through its "Get Kids in Action" program, is encouraging kids to get active. As part of this initiative, Gatorade is offering $1 million in scholarships over the next four years for children to attend some of the nation's leading sports camps. Children ages 8-12 are encouraged to download a scholarship contest form from the new Get Kids in Action Web site . Winning a sports camp scholarship will help children increase their physical activity levels by finding a new sport or honing the skills of a favorite one. This contest is part of the larger Get Kids in Action program, a partnership between The Gatorade Company and the University of North Carolina at Chapel Hill's School of Public Health and Department of Athletics. Pepsi Thanks Volunteers who "Inspire by Example"
During the National Volunteer Appreciation Month, Pepsi supported select Volunteer Recognition Ceremonies. Volunteers dedicate their time for a variety of activities such as the Red Cross, USO, Boy and Girl Scouts and many other Armed Forces Community services. 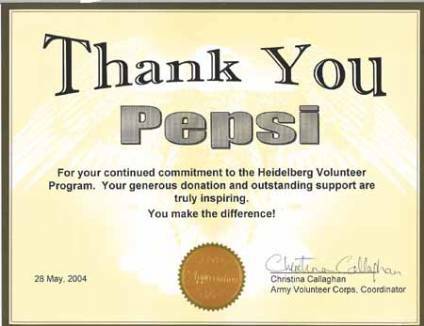 For more on the Volunteer Recognition Ceremonies and other programs which Pepsi supports, click here. 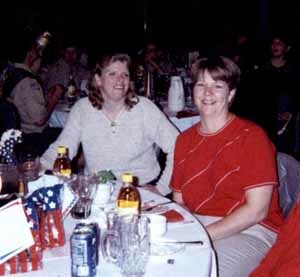 Pepsi-Cola is enjoyed around the Globe by US Service-members and their families. Take the Pepsi Test Now and find out what other thirst-quenching products are available on your Base! 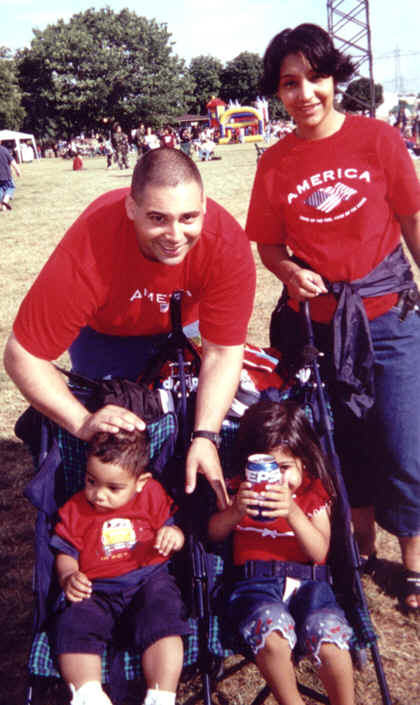 Pepsi supports a variety of programs, reaching out to military members and their families throughout the World. The local military martial arts group demonstrated basic movements. Serving Refreshing Pepsi on a hot summer day! Enjoying the Pepsi sponsored festivities on PHV, Heidelberg. The choice for great cola taste. So light, so crisp, so refreshing. The one-calorie cola that tastes more like a regular cola. Lipton’s Ice Tea is the real deal. For self-assured, energetic tastes. The taste that makes the break. brings a little home town flavor to troops stationed throughout the World! 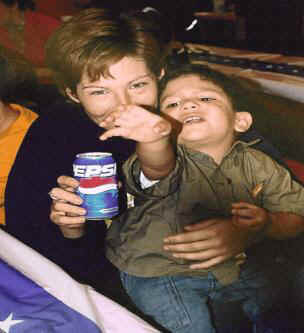 The PepsiCo family of companies cares about the health of the people who enjoy our products. As a company that provides hundreds of convenient food and beverage products that rejuvenate millions of consumers around the world every day, we are committed to offering the widest possible spectrum of great tasting food and beverage choices. We also recognize that consumers have an increasing need and desire for foods and beverages that make it easier and more enjoyable for them to lead healthy lives. We believe that we are ideally positioned to meet that need, and we intend to lead the way. Providing A Spectrum of Good Choices that range from the small indulgences our consumers love to a wider variety of improved, enhanced, and fortified products that meet their needs for better health. In fact, our commitment is that 50% of our new products will be comprised of essentially healthy ingredients or offer improved health benefits. Reaching Consumers Broadly. Because our products are enjoyed by the majority of consumers the world over, we believe our largest contribution to healthy living will be in providing healthy products with mainstream appeal. To that end, we’re committed to improving the healthfulness of our products without sacrificing either taste or convenience. And we’re committed to introducing big new product ideas that appeal to mainstream consumers. Applying the Best Available Science. Because nutrition science is constantly evolving, we have an obligation to evaluate any major new health learning that applies to our products and make formulation and labeling decisions based on the best available science. In some cases new learning will prompt us to make changes. In other cases, where the science is unclear or conflicting, we may choose to make no change. In all cases we will communicate our decisions--internally and externally--in an honest and transparent way. Promoting Healthy Kids Lifestyles. We know we can play an important role in helping kids lead healthier lives by offering healthy product choices in schools, by developing healthy products that appeal to kids and by promoting programs that encourage kids to lead active lives. To learn more, visit PepsiCo's Health is Power site. Pepsi salutes all who serve, including including the Red Cross, USO, Boy and Girl Scouts, and many other organizations, which make a difference in the quality of life for the servicemembers and their families worldwide.